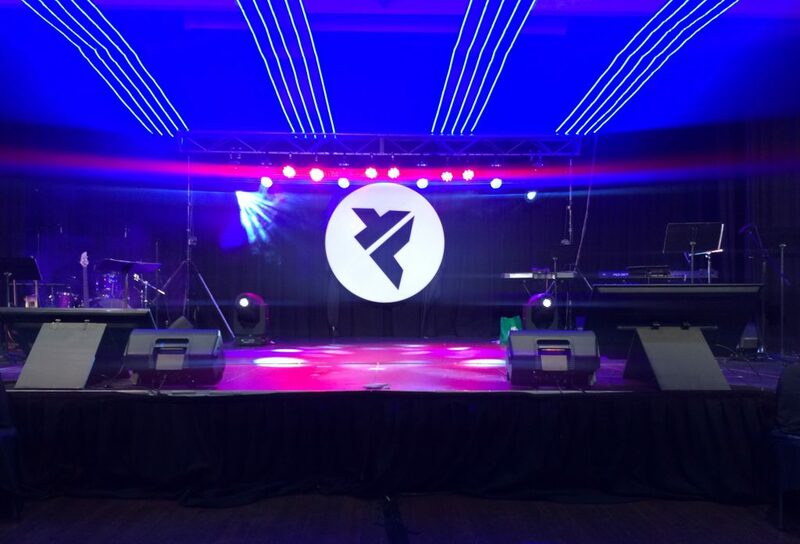 Last week, I once again had the privilege of being the Technical Coordinator for The Salvation Army’s Youth Councils event in Sydney. 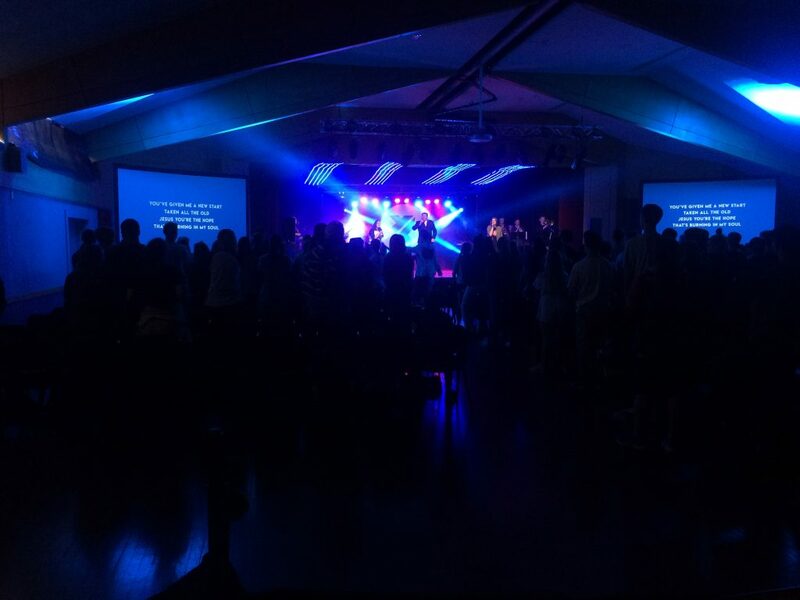 This is an annual combined youth church event for the Sydney-wide region. This year, there were four of these events in NSW/ACT, as well as some in QLD, VIC, Asia, Europe, and the United States – practically every Salvation Army territory around the world runs a Youth Councils at some time in each year, and it just so happens 5th & 6th May 2018 was a good time to do it! Being the tech team coordinator is more than about running a successful event – it’s about building and nurturing a team, and setting them up for success at this event and also when they go back to their own local churches. We had a big team, with a range of leaders within that team empowered to work collaboratively and raise up people beneath them. Part of my job is also about being responsible for budgeting, logistics, planning, safety, and having some creative input at the team meetings. This year, we had sixteen people on the tech team – with ages ranging from 13 to ~30, and a 20%/80% female/male gender split (this is improving each year, but still too far weighted towards us guys). 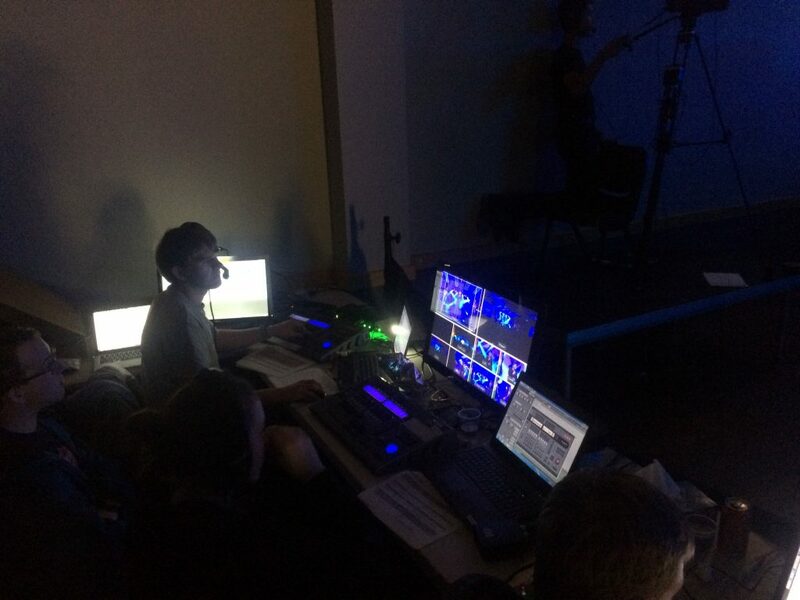 Experience also wildly varied – with some people not having worked on an event like this before, to a couple of members on the team working professionally in AV, Theatre, and Installations. The large team size wasn’t strictly necessary, but we deliberately use this as an opportunity to give people more experience, encourage them, and hopefully equip them for ministry in their own local churches. This is my fourth year coordinating the team (also the fourth year this event was held at The Kings School in North Parramatta), and my sixth year serving on the event. The other major component of the preparation work involved a bit of construction. We had this concept for a big set-piece built from LED Strip Tape, and flown from above the stage. The idea was to enclose the space a bit, and add a new dimension for the lighting. 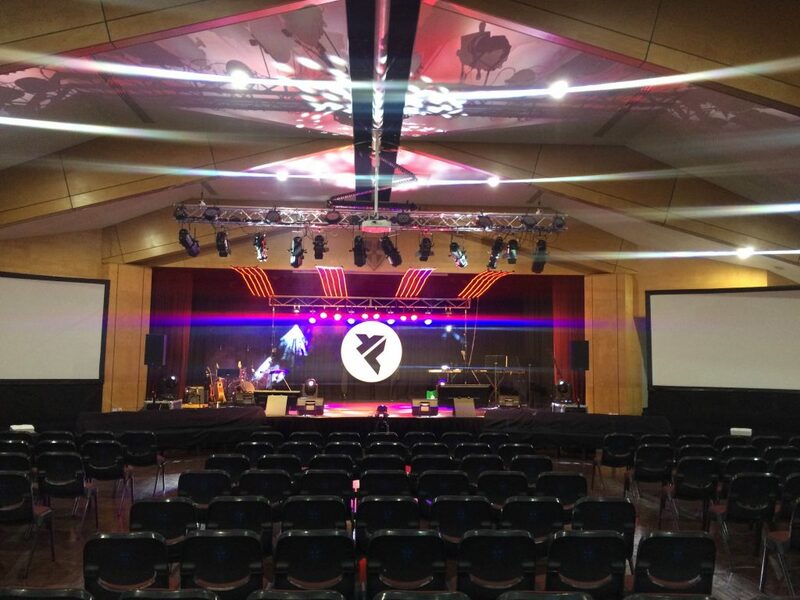 It was also recently featured on Church Stage Design Ideas. 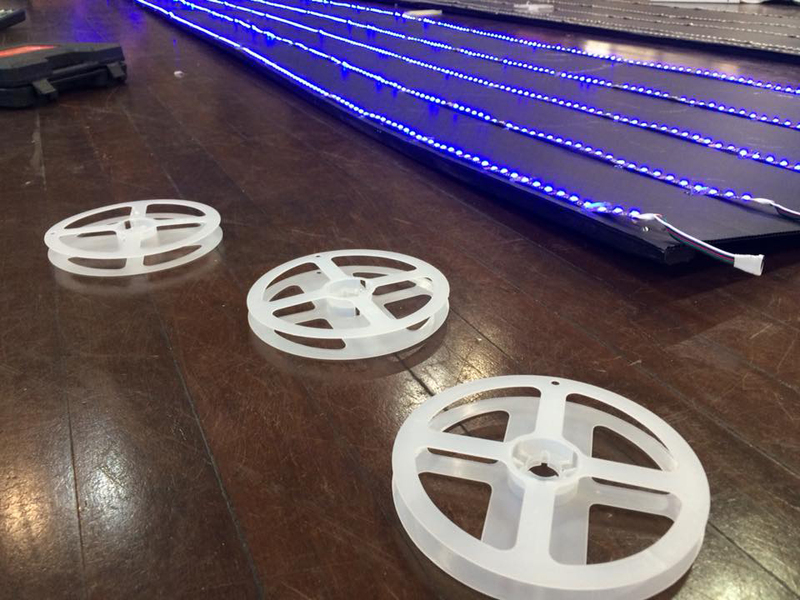 Before the event, we cut the plastic boards into 610mm wide segments, and screwed them to the timber for support. The timber was painted black. There were 8 boards. 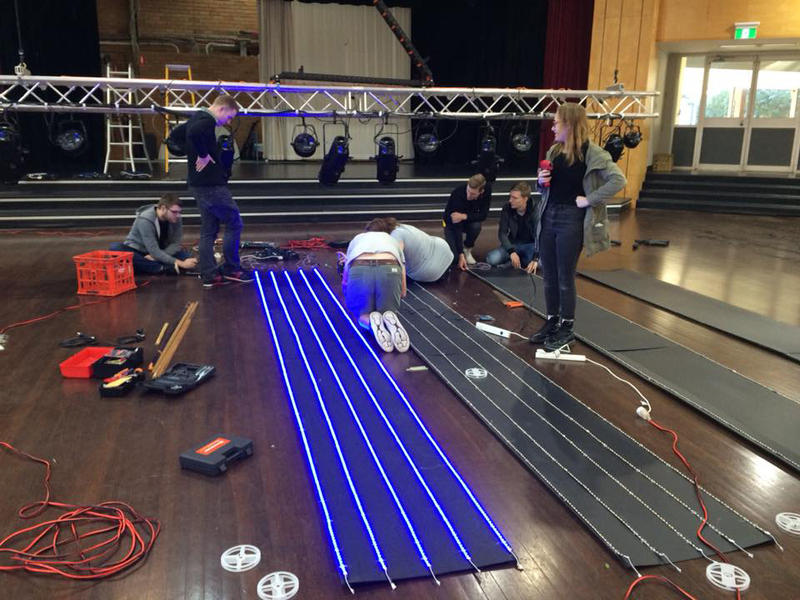 Once we got on-site, we joined them into 4x 5m long boards and glued the LED tape to them. Flying the boards was done with plenty of rope, and ladder access to the lighting bars above stage. The DMX Decoders, power supplies, and DMX cable were all cable-tied onto MDF boards, so they were ready to go as soon as we got on-site. 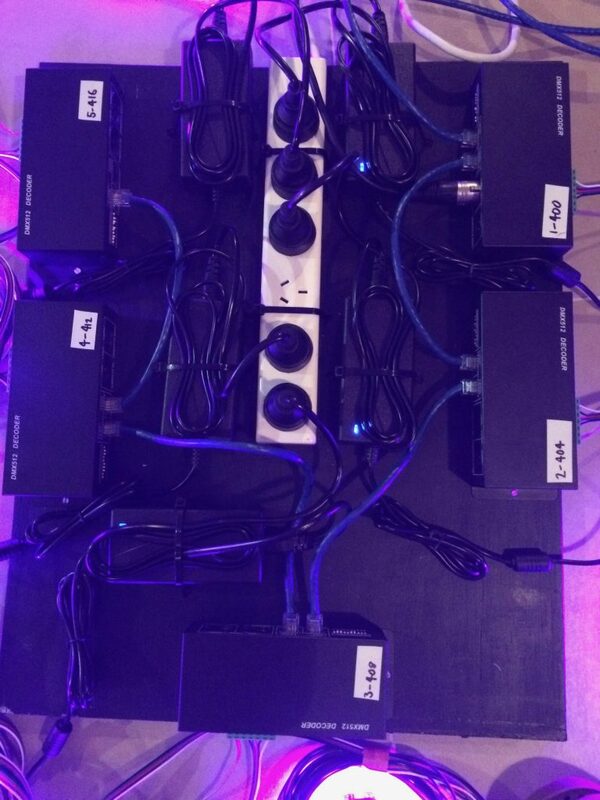 Each board had five decoders, and corresponded to one 5m long board above the stage. The on-site construction took us about three hours, minus a bit of time for prayer and a team meeting. 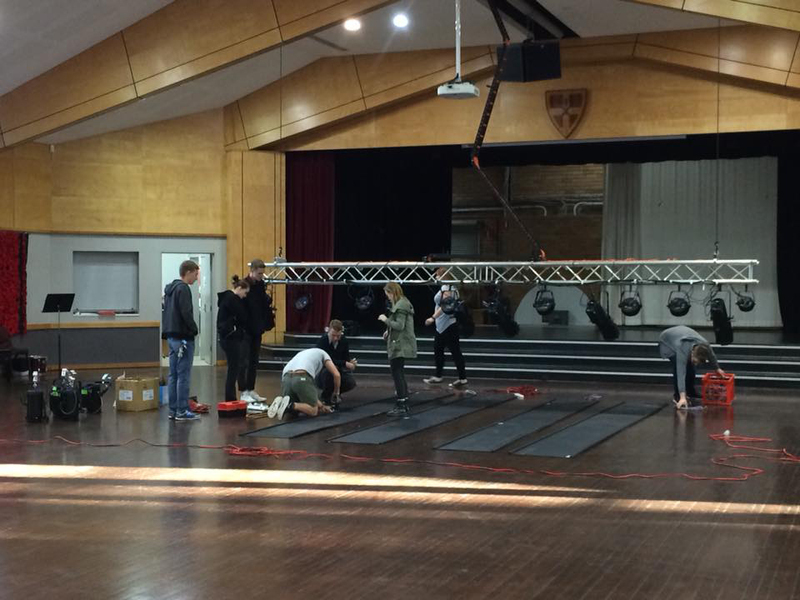 We started constructing these at 7am, had to complete them before the rest of the stage could be setup. The PA consisted of 2x QSC K12.2 speakers, 2x EV EKX-12P subs, and 6x JBL EON610’s for foldback. This was all mixed on an Allen & Heath GLD-80 digital console, connected via Dante to Protools and a separate Midas M32 for the streaming audio mix. We had a mix of Sennheiser G3 and Shure ULX-D radio mics, plus a variety of wired mics and DIs as well. In addition to the LED Tape Set Piece (above), we had 8x LED Profiles, 4x LED Fresnels, 4x Martin Rush MH6, 2x Martin Rush MH1, 4x GTD 440II BSW, and a mixture of LED Pars. This was all controlled by two LSC Clarity VX20 wings. 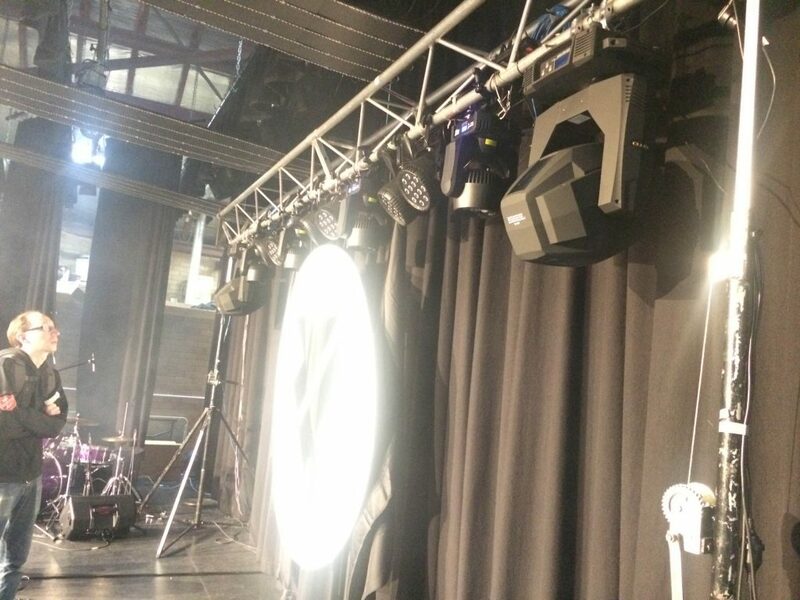 We ran effect lighting on one VX20, and clear/front lighting on the other. This allowed two separate operators to focus on their respective fixtures. I’ve never seen this split done for an event this small, but I think the results spoke for themselves. It was much more efficient dividing the rigging/programming/ops between two people, and helped us out a lot being on a very tight deadline. In-venue video was simple. We ran all content from ProPresenter 6, connected via SDI to two Optoma W316ST projectors on 150″ fastfold screens. We also had dual foldback monitors on-stage, connected to my Raspberry Pi ProPresenter Stage Display software. Streaming video was much more intense. We had five operable cameras and two fixed shots, including a jib at the back and a roaming camera on stage. These connected via a variety of SDI converters to a Blackmagic ATEM TVS HD switcher, running at 1080i50. We weren’t live-streaming, but instead recorded to disk for later editing/upload. Recording was to a BMD Video Assist, and OBS as a backup (via a Web Presenter). At the end of any sizeable endeavour, it’s always useful to solicit and document feedback from anyone and everyone. We use this to guide the next events. Feedback was overwhelmingly positive, with the usual logistical-type issues raised. One thing we are all resolute on doing is building the team culture, and equipping more young people to engage with technology in the church. For me, these events aren’t at all about the technology – it’s all about seeing Jesus glorified, and His people raised up as leaders.